There’s nothing like real, live storytellers to catch the imagination of youngsters. With these six tales, each told by a pair of storytellers, students can go on an enchanted voyage, whether they’re in a classroom, cafeteria or theatre. 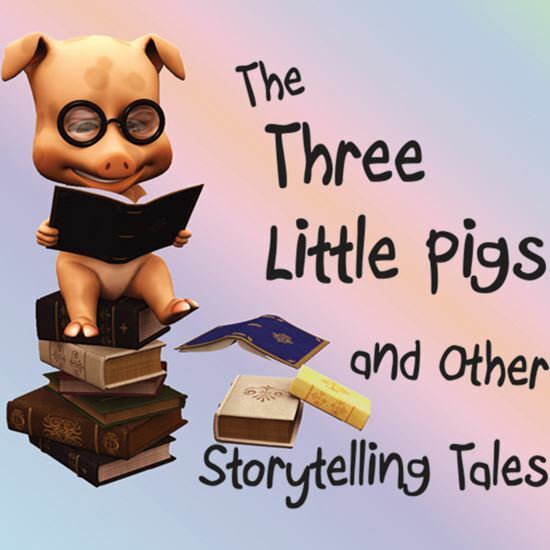 Let your young audiences, from kindergarten through 6th grade, connect, learn, and be entertained through these inventive scripts in one of the oldest forms of entertainment -- storytelling! Running from 6 to 12 minutes each, they include “The Cat, the Mouse and the Huge Pot of Cheese,” the Aesop tale of the two traditional enemies who work together; “Finn McCool and the Cucullin,” an Irish folk tale about a giant and the peasant woman who outsmarts him; and “Why the Oceans Are Filled With Fish,” adapted from a tale by Leonardo da Vinci. The three other titles include “The Forever Snowflake,” an original Christmas story about the magic of wishes; “The Wonderfully Colored Dragon,” about a dragon who loses his ability to breathe fire; and “The Three Little Pigs,” the all-time favorite! A: “The Wonderfully Colored Dragon.” I wrote it specifically for Melody and her daughter, Kimberly (for whom the Dragon is named).